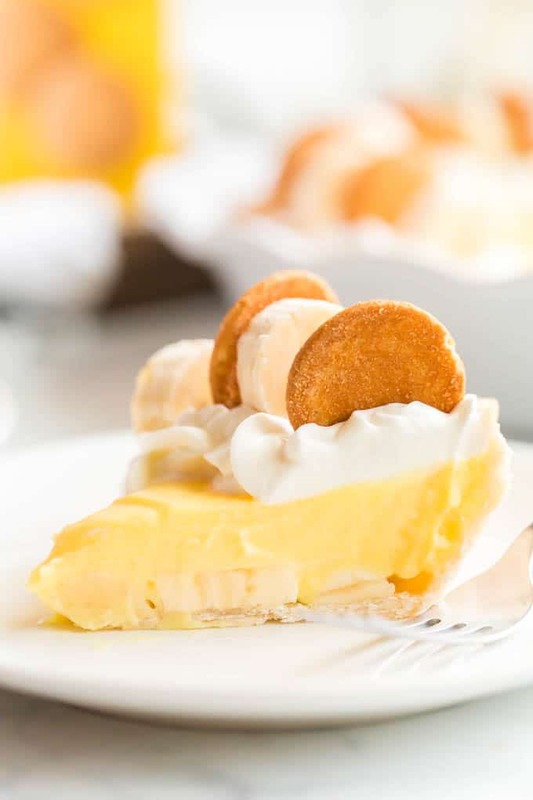 This delicious, classic banana pudding pie is an award-winning favorite for our family. Sweet, creamy, and yummy, you’ll find no better banana pudding pie recipe — it’s the best! This old-fashioned dessert is so quick and easy to make. It’ll remind you of childhood with its amazing, homemade flavors. 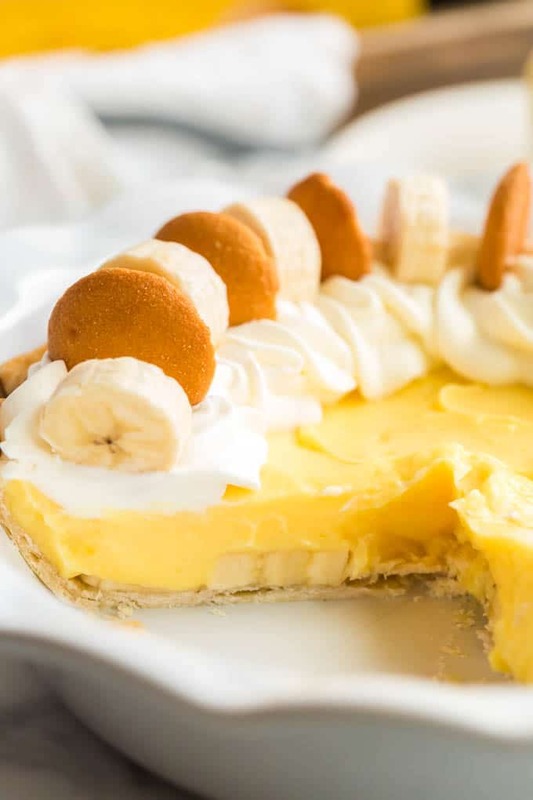 Vanilla pudding combines with a flaky crust and thinly sliced bananas and plenty of whipped cream and Nilla Wafers for an incredible Southern classic. 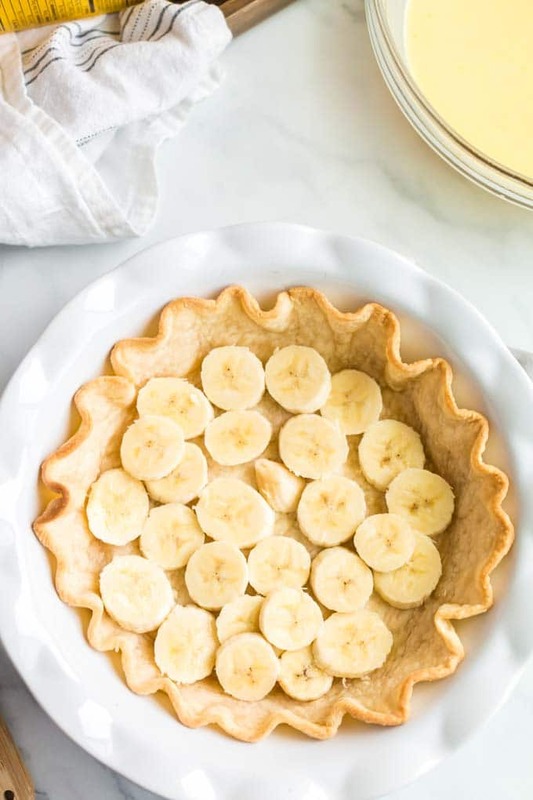 Get ready for a great dessert, here comes our banana pudding pie! What is a Banana Pudding Pie? 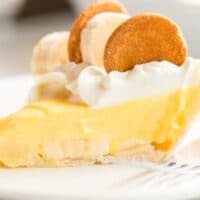 This amazing cream pie mixes together a creamy, tasty filling with fresh bananas, Nilla Wafers and lots of whipped cream to create a classic dessert. I can remember my mom making this when I was little. It was a favorite for me — I loved eating it and helping to prepare it. I always got to help mix and sample as we baked together. I especially loved nibbling on Nilla Wafers while we worked. It was my job to place on the top of the pie just so before serving. 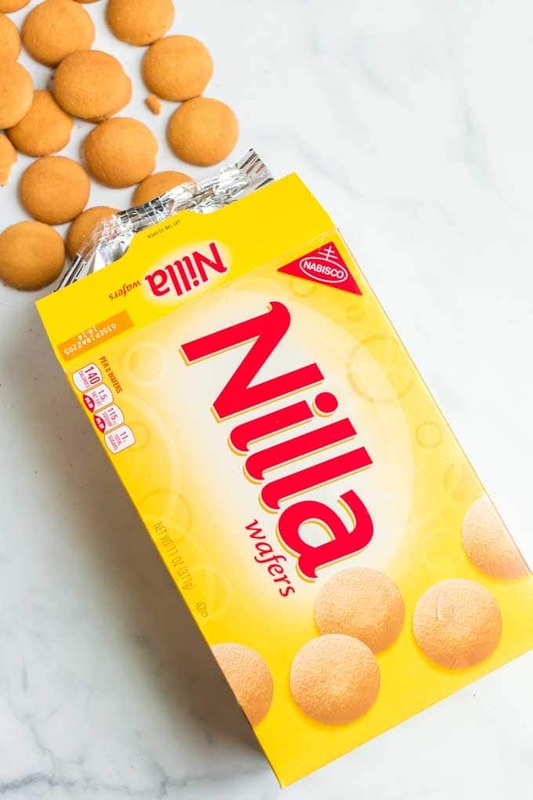 Crispy with a delicious vanilla flavor, Nilla Wafers are the ideal amount of sweet and crunchy. Not only are they amazing on their own, but they’re also the perfect compliment to lots of recipes. This recipe has always screamed spring to me with it’s fresh, creamy flavors. 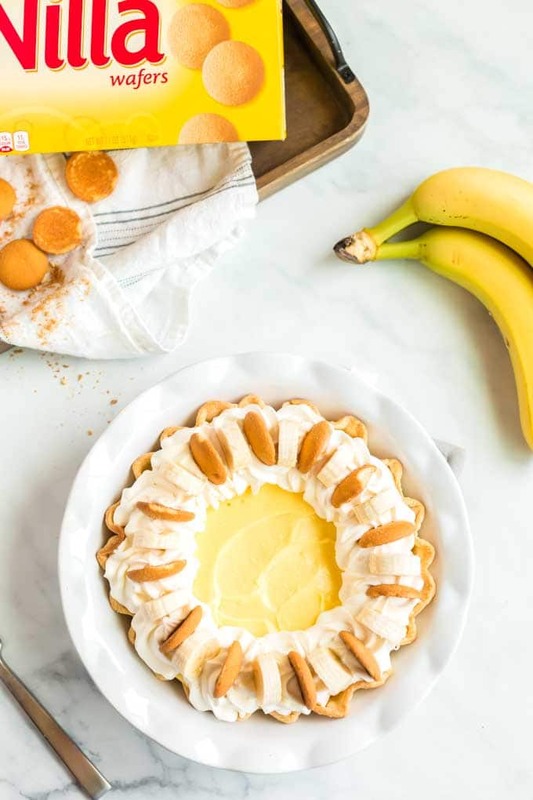 This banana pudding pie will certainly show up on our dessert table for Easter. You’ll love how easy today’s simple recipe is. It’s a quick option for last-minute guests or to serve at a big family gathering, like Easter. I love getting my boys involved helping me in the kitchen, just like I did as a little girl with my mom. You could also make this in a graham cracker crust if you prefer instead of a traditional pie crust. While the pie dough is still chilled, roll it out and place it into a 9-inch baking dish. Crimp the edges of the pie crust with your fingers. Next, gently place a piece of foil down into the pie crust and fill with dried beans. Let it sit on the counter and come to room temperature while the oven preheats to 450 degrees. Once the oven has preheated, bake the pie crust for 10 minutes. Then, briefly remove the pie from the oven, take out the foil and beans and place back in the oven for an additional 2-3 minutes. Remove from oven and let cool completely before proceeding. For the pudding, whisk together the pudding mix, milk and half and half. Place in the refrigerator to chill until you’re ready to use. 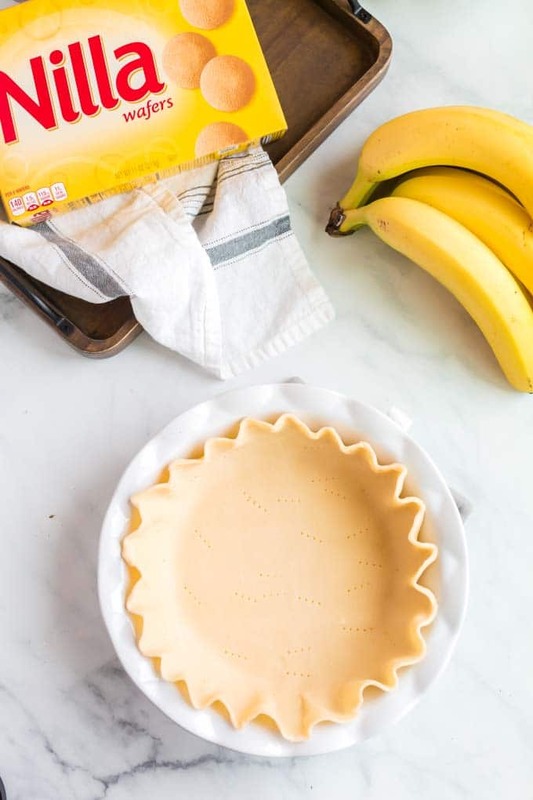 Once the pie crust has cooled completely place 1-2 layers of bananas on the bottom of the pie crust. I only did one layer and wish I would have done more! Spread the pudding evenly over the top of the bananas. To make the whipped cream, pour whipping cream into the base of a stand mixer fitted with the whisk attachment. Mix on low until the powdered sugar is mixed in, then turn to high and whip for 1 minute or until stiff peaks form. Place in a piping bag and pipe around the edges of the pie. Alternate the top of the whipped cream with Nilla Wafers and banana slices. If you’re serving right away, you can fully assemble at once. However, if you’re making it ahead of time, I would suggest waiting to add the whipped cream, bananas, and wafers until you’re going to serve your guests. 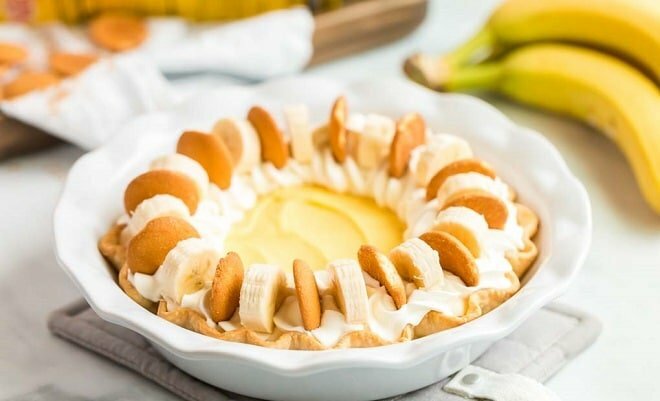 Can You Freeze Banana Pudding Pie? Yes! But I would leave off the whipped cream, bananas, and Nilla Wafers until you’re ready to serve so nothing gets soggy or discolored. I’m sure your entire family will love this classic, old-fashioned Southern treat just as much as we do. You can’t beat the fresh, creamy flavor and how easy it is to make! Enjoy! Cool, creamy, and delicious this classic sweet dessert will be a favorite with it's fresh flavors! While the pie dough is still chilled, roll it out and place it into a 9inch baking dish. Crimp the edges of the pie crust. Gently place a piece of foil down into the pie crust and fill with dried beans. Let sit on the counter and come to room temperature while the oven preheats to 450. For the pudding, whisk together the pudding mix, milk and half and half. Place in the refrigerator to chill until ready to use. Spread the pudding over the top of the bananas. To make the whipped cream, pour whipping cream into the base of a stand mixer fitted with the whisk attachment. Add vanilla and powdered sugar. Mix on low until the powdered sugar is mixed in, then turn to high and whip for 1 minute or until stiff peaks form. Place in a piping bag and pipe around the edges of the pie. Alternate the top of the whipped cream with Nilla Wafers and banana slices. NOTE: If you’re serving right away, make the whipped cream to go on top. But if you’re making it ahead of time, wait to add the whipped cream, bananas and wafers. Banana pudding is probably my favorite dessert of all time and this pie exceeds those expectations. So mouth-wateringly delicious!! Can’t get enough.